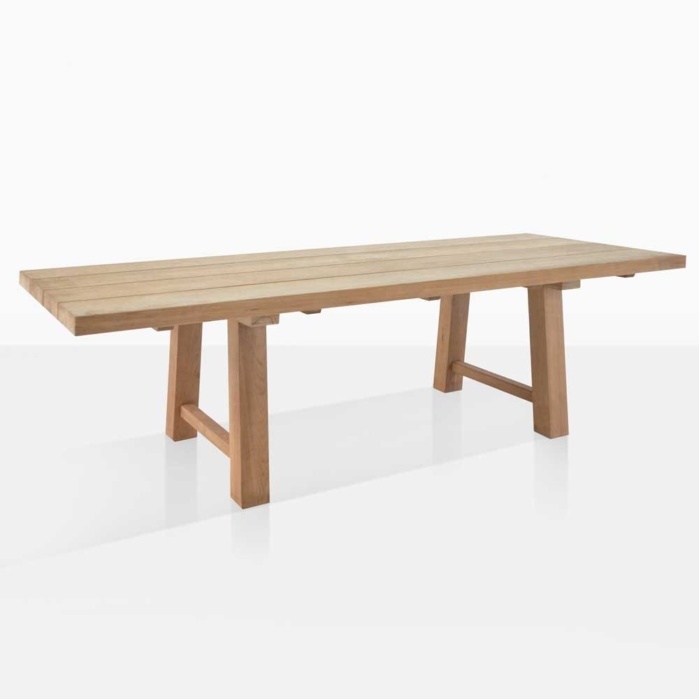 Our new Somerset Trestle table is made of stunning A-Grade teak. 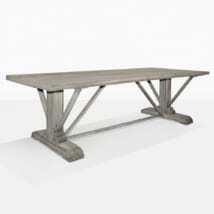 An amazing dining table for outdoors or in. The structure of the table top is made up of 4 planks across at 9.5″ wide x 2.5″ thick. 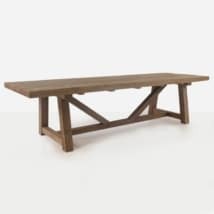 We put this table into production because of such demand for our reclaimed teak trestle table. 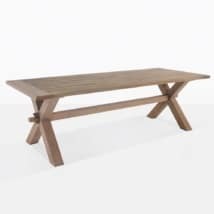 Many customers were asking for a Trestle Table in new A-Grade teak and we are over the moon with the results. Matching benches are available if required. Visit us and be impressed by this beautiful piece.